We don't consider ourselves to be the World's best cocktail gurus. You might be even disappointed to hear that we can't throw bottles around or make fancy tricks with a cocktail shaker. But we do what we love. And on this road we only use the best organic ingredients and make everything ourselves - starting with the gin. How Rhubarb & Hibiscus cocktail is made? When our gin is ready we infuse the gin with Hibiscus blossoms grown on organic South African fields. The gin is turned ruby read before we add organic Rhubarb juice grown and pressed in South Estonia by third generation rhubarb farmer called Leo! We then add a tiny bit of sugar and carbonate the cocktail in order to make it even more fresh and enjoyable! Voila', that's it. How Black tea and Orange cocktail is made? Our currently most popular cocktail was also the first which Hendrik and Walter decided to bottle. 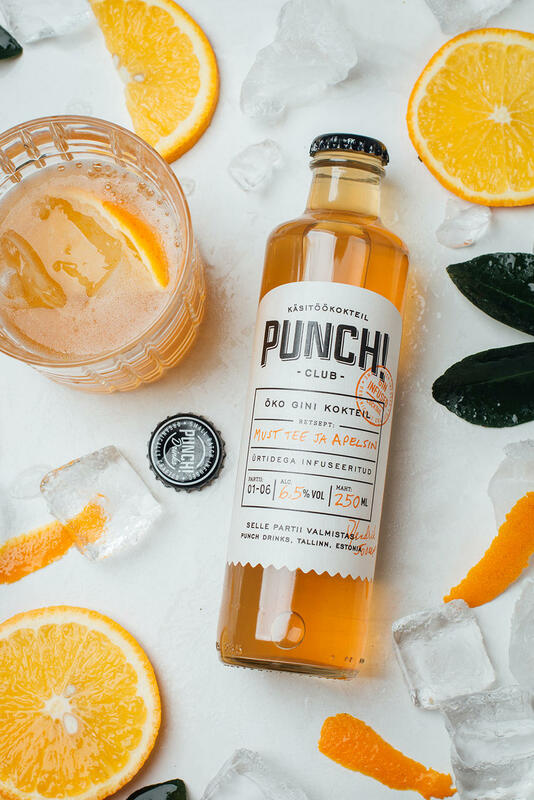 When our gin is ready we infuse the gin with Black tea, Orange peels, Lemongrass, Lemon peels and Cornflower blue. At this point our infusion room smells so fantastic that we've joked about starting a perfume line on the side... The cocktail has a complex yet well balanced almost umami pallet with sweet, sour and bitter notes. Especially good when served with an orange slice/peel. 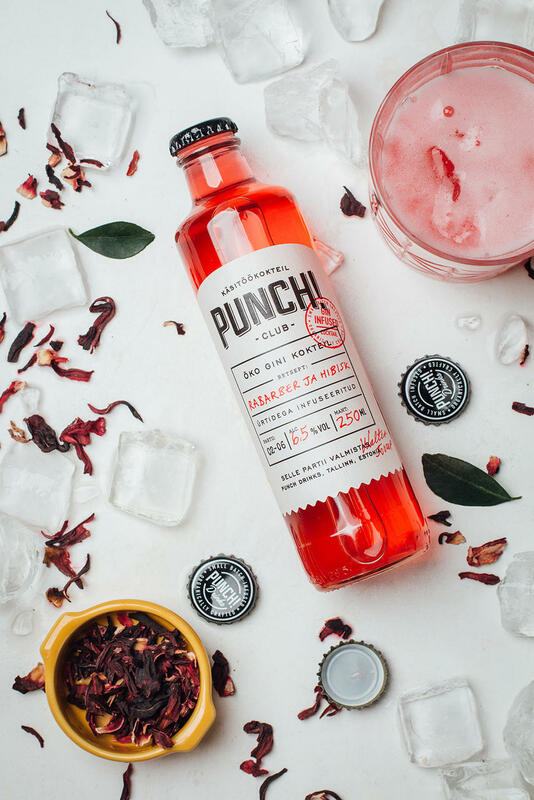 How Raspberry & Sencha cocktail is made? Well frankly it is so much about the quality of ingredients. The organic raspberries are picked on high season when berries are ripe and then freeze-dried immediately to keep the fresh natural taste. 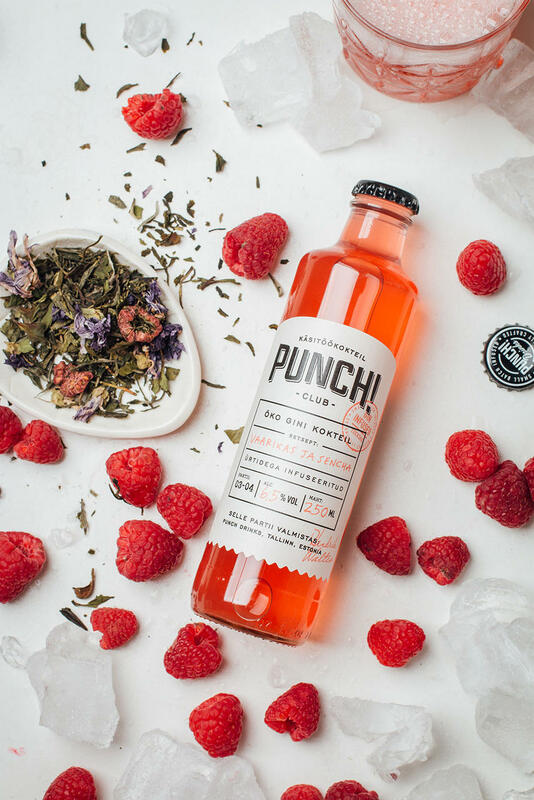 Along with raspberries, we infuse the gin with Sencha tea, Lemongrass, Lemon peels, Basil and Mallow. The first taste of this cocktail has a strong fresh raspberry, followed by a more complex set of flavours provided mainly by sencha and mallow. How we craft our cocktails? Step 1: We make our own gin (42% abv) in small batches from the best organic components. Step 3: From the infused gin, we craft unique cocktails, which are 100% organic and low sugar. Infusion is a process during which we put herbs and fruits into gin and heat it up a little. As a result the gin is enriched with variety of flavours from the botanicals. All flavours you sense in our cocktails are the result of infusion. Infusing is our favourite part of it all, because that's when the magic happens! The process allows us to use every imaginable fruit, herb or spice in our cocktails and create something truly new. If you have a crazy idea what we should try to infuse, let us know!